We all grew up on those candy coated milk chocolate pieces with the letters printed on the front. I’m not uttering the name, but you know the ones that I am referring too. I never really loved them, but the crunch made me keep coming back. It was so easy to pop a few in your mouth and crunch away. Before you knew it, you might have downed half a bag. I’ve been missing the convenience of those candies and their ability to only melt in my mouth and not on my fingertips. 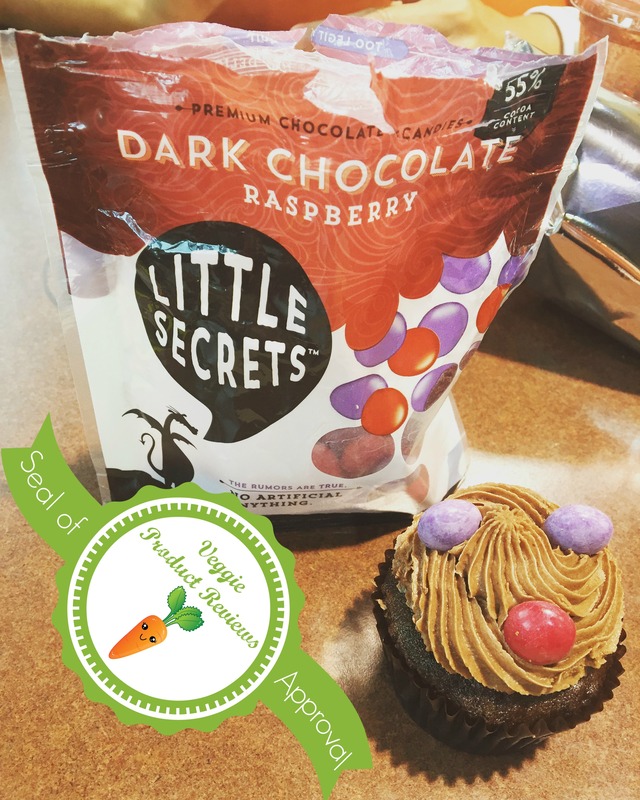 I then discovered the Classic Dark Chocolate Candies by a company called Little Secrets. After downing a bag eating them one by one, I realized they are better than I remember the milk based originals they imitate. I’ve tried several flavors and I enjoy them all. Overall Grade: A+ I’d give this product more pluses, if it didn’t seem childish! They taste better than the original candy that they imitate. I’d like to see you try not to eat a whole bag. Just try! They don’t melt on your fingers. They are relatively easy to locate for me locally as they are in Earth Fare and Whole Foods. They are also sold on Amazon. The company has four flavors that do not contain milk. More if you count holiday flavors. They are great for vegan kids! Really, who am I kidding, they are great for adults too! The products are made using fair trade chocolate. Your candy loving husband might try to pilfer the whole bag from you, not even savoring them-just shoving them all in his mouth. Yep, this happened! I was not pleased, these are meant to be savored! Like most vegan products, they are not cheap. For me, this is an occasional “I deserve a treat” product. And seriously, when don’t I deserve a treat? The company doesn’t label their products as vegan. I’m not sure that I understand the reasoning behind this (see below). We all know that many other products are made in production facilities with dairy and most of us don’t mind as long as the product doesn’t contain milk. 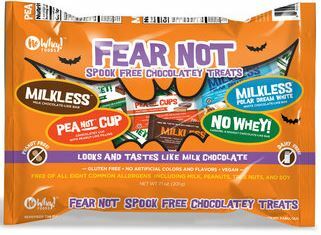 Their candy isn’t officially labeled as gluten free. I eat it only because I contacted the company, but the information on the website would make me suspicious about consuming if I had not contacted them. They explained to me that they use good segregation processes. Please contact them if you don’t feel comfortable consuming. Their website FAQ contains information that is confusing, see the above two bullet points.